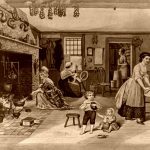 For more than forty years, the women living in New Amsterdam (New York City) experienced more autonomy, more rights and more income than other colonial women. Colonists in New Amsterdam and New Netherland lived for the most part under the law as it was in the Netherlands. The orders given to the first settlers by the Dutch West India Company were to establish law and order in the colony as it was in the fatherland. When new situations arose, the Director General and Council enacted appropriate legislation, though still in conformity with the laws of the Netherlands. After 1653, New Amsterdam had its own court, which was made up of the prosecutor, two co-mayors, and five aldermen. As a legislative body they met every Thursday morning. As a court of justice, they convened every Monday morning at 9 o’clock. The Dutch didn’t have a jury system. In court cases, these men also served as both judge and jury. Dutch women retained their own last name when they married. Children were given their fathers’ first name as their surname for life. Thus, there were no generations in families. Everyone kept their name regardless of marital status. An unmarried, pregnant woman could go to court and charge the alleged father in a paternity suit. The woman often won, and could force the man to marry her. If he was already married, she could demand a dowry, payment of childbirth costs, and child support. Prenuptial agreements were standard in the colony of New Amsterdam, and were also a way that women could achieve a significant degree of autonomy. The agreements enabled women with money and/or property to keep their wealth after they married. In the English colonies, a woman’s wealth was taken over by her husband at marriage. New Amsterdam records indicate that the pre-marital contract was frequently used. 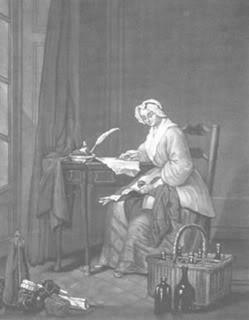 Anneke Webber Jans wrote one of the first prenuptial agreements, ensuring her property rights when she married in 1638. She later drafted premarital contracts for her daughters. In New Netherland, if a woman was unmarried, she was treated under the law as a man would be treated. When she married, a woman could choose whether to marry and live according to manus or according to usus. If she chose manus, she granted her husband marital power over her. That is, she accepted the status of a minor, and agreed to live under the guardianship of her husband, who would be her legal representative at all times. She would have no standing in court. She could not institute or defend any action in her own name. Her husband had to appear for or with her in any suit in which she was charged as defendant, and she could make no contract without her husband’s authority. Under manus, the separate properties with which each entered the marriage became part of the community property. Their properties still belonged to each one separately, but the husband became the administrator of his wife’s property. But if a woman chose usus, she would make a prenuptial agreement, in which she rejected the marital power and renounced community of property, thereby retaining all her own property. And many of these independent women were in court nearly every session, often once a week in New Amsterdam, usually either suing or being sued on their own accounts. Because of the equal treatment the Dutch law afforded women, they were able to engage freely in business to obtain a share of the economic rewards of a developing but already prosperous trading center. Women in New Amsterdam were not required to go in public with a chaperone, which greatly helped them achieve more independence and enabled them to conduct business on their own. 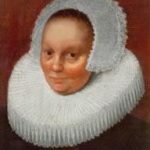 There was a demand for entrepreneurial expertise, and Dutch women, whose education and training had always included ciphering and the arithmetic of commerce, were legally permitted and prepared to engage in legitimate business enterprise. Women in New Amsterdam had various occupations, and some practiced medicine as midwives and physicians. Among the colony’s first publicly-funded buildings was a house for the midwife Tryntje Jonas, who had such a good reputation that the house was built to entice her to leave Holland for New Amsterdam. Like most people of her era, Jonas had no physical separation between her work and her home. Both men and women typically ran their businesses from their homes, allowing women to take care of their families, and also be businesswomen. Sara Roeloef earned her living as a linguist. 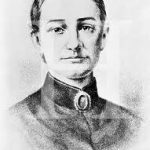 Fluent in Dutch, English, and the Algonquian Native American language, she was employed to translate during business transactions for the major New Amsterdam businesses. Anneke Lockermans Van Courtland paved the first street in America. Van Courtland, tired of the dust or mud in front of her house, supervised her servants in covering the road with cobblestone in 1648. Dutch property rights enabled several women to head huge estates, the equivalent of European manors. 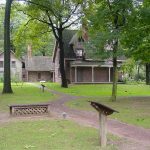 For example, Maria Van Renssaeler operated a 24-square-mile fiefdom that included gristmills, sawmills, and other income-producing activities. 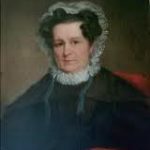 Margaret Hardenbroeck Philipse kept her shipping business when she married, and while raising five children, she ran an import/export enterprise during most of her life. A frequent ocean traveler, she took furs to Holland, and then bought back manufactured goods for eager buyers in America. The English defeated the Dutch and seized control of New Netherland and New Amsterdam in 1664. When the king conquered a Christian country, he had the right to change the laws of that land, but until he did, the laws of the subdued territory would remain in effect. King Charles II gave both colonies to his brother, James, the Duke of York, who named both of them New York. Within a year of the capture, the Duke introduced a new system of laws for the colony by way of his delegate, Richard Nicholls, the first English governor of New York. Known as the Duke’s Laws, they were modeled on English Common Law. The laws changed gradually over a period of years, and the English view of women prevailed. Each married woman was to be protected and guarded by her husband. She no longer had the option of writing a prenuptial agreement or to maintain her independent legal standing. And with that restriction of women’s economic independence came a decline in the number of women entrepreneurs. The negative impact of English law on the status of women is apparent from studying the court cases involving women in both Fort Orange (Albany) and New Amsterdam specifically during this transitional period from Dutch to English law. Dutch women in New Amsterdam from 1653 to 1664 had committed very few crimes: a total of 43 according to the court records. Because of the beneficial economic situation in New Amsterdam and because Dutch law allowed women to take advantage of it, there had been little need for criminal activity. The general court activity of women in both civil and criminal cases showed a marked decline once the English took over the Dutch colony. From 1653 through 1664, while the colony was still under Dutch rule, women were involved in 28 criminal cases and about 691 civil cases. But once under English control, from 1665-1674 the number of criminal cases dropped to fourteen and the number of civil to 316. Dutch women then had few legal freedoms and fewer economic opportunities. They evidently gave up their businesses, and no longer had any reason to appear in court. Married women, under the English, weren’t allowed to speak for themselves in court. Within the 36 years from 1664 to 1700, the number of women engaging in trade, in service jobs, and as business owners declined severely. The frequency of women in court as either plaintiff or as defendant decreased. The number of women making wills jointly with their husbands dropped, and the number of women inheriting real property plunged. Prostitution and theft were the two most common categories of crime committed by women from 1691-1776. Having lost their economic independence, women resorted to these female crimes. The most severe punishment the court meted out to women was banishment from the colony, and that was for indecent exposure or whorish behavior. Although a few individual women continued their careers after the change, it became increasingly more difficult as time passed. English law replaced Dutch law, and England’s view of women’s rights eroded Dutch practices. The higher status and freedoms once enjoyed by New Amsterdam women disappeared for centuries.